Tiger Tear - Feel Right, Feel Ready! 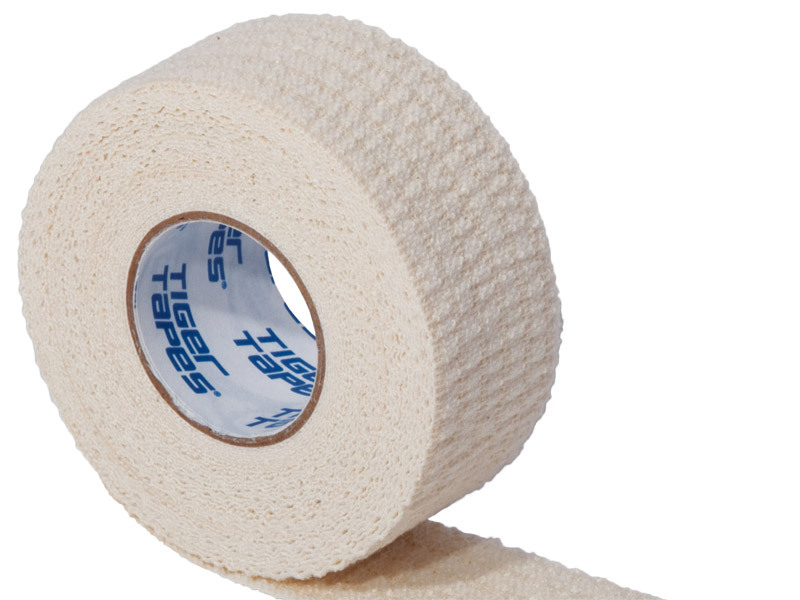 Tiger Tear is an essential for any professional kit bag. Whether you’re looking for joint or muscle support, protection for your hands, or line out tape, Tiger Tear will ensure athletes feel ready, protected, strong, and able to do what they need to perform. As the name suggests, Tiger Tear is a hand-tearable EAB. It has been designed with a unique textured open weave 100% cotton fabric, making it totally comfortable to wear so athletes can feel right, move more freely and focus on their performance. It’s latex free, hypoallergenic adhesive adheres to any part of the body and can withstand the toughest conditions all while reducing skin irritation. Tiger Tear feels right, meaning that you can be confident knowing that once it’s on, it will stay in place without slipping, no matter the situation. 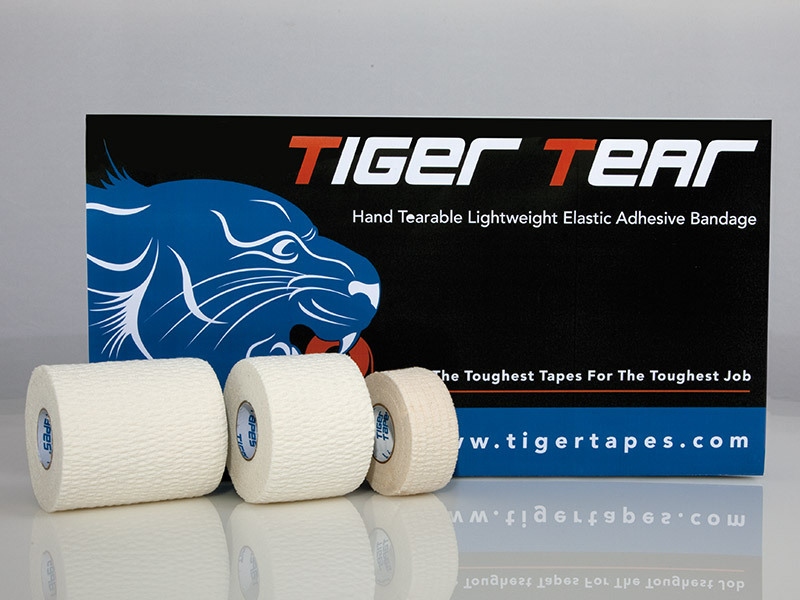 Tiger Tear comes in a 6.9m roll, making it our best-selling tape! 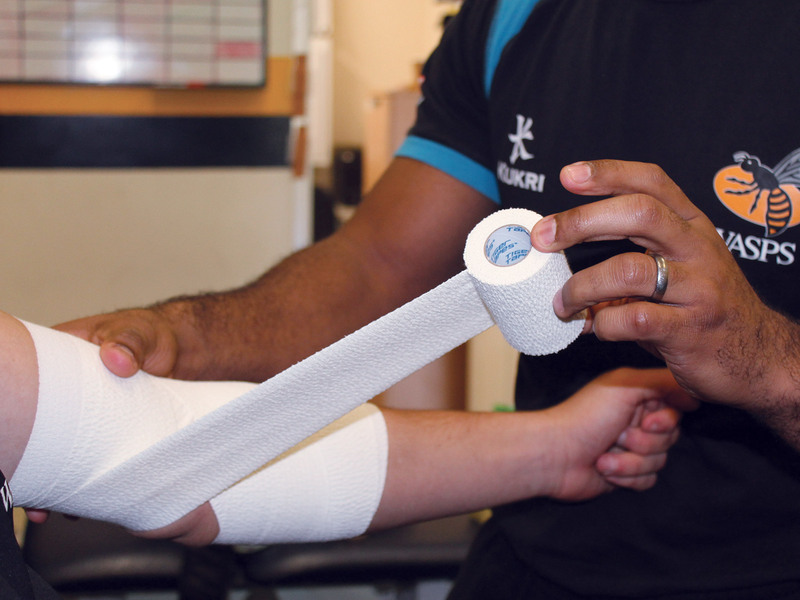 Typically, Tear EAB is used for a figure of 8 taping around the ankle, hence the 6.9m length which is perfect for taping two ankles in a matter of seconds! Tiger Tear leaves behind very little waste, it’s easy to unwind design goes all the way to the core, making application even easier. Its strong adhesion makes it perfect for rugby! It can be used to fix lifting blocks to the lineout’s thighs and protect the head and ears in the scrum. It can also be applied directly to the skin to provide moderate support for muscles and joints. 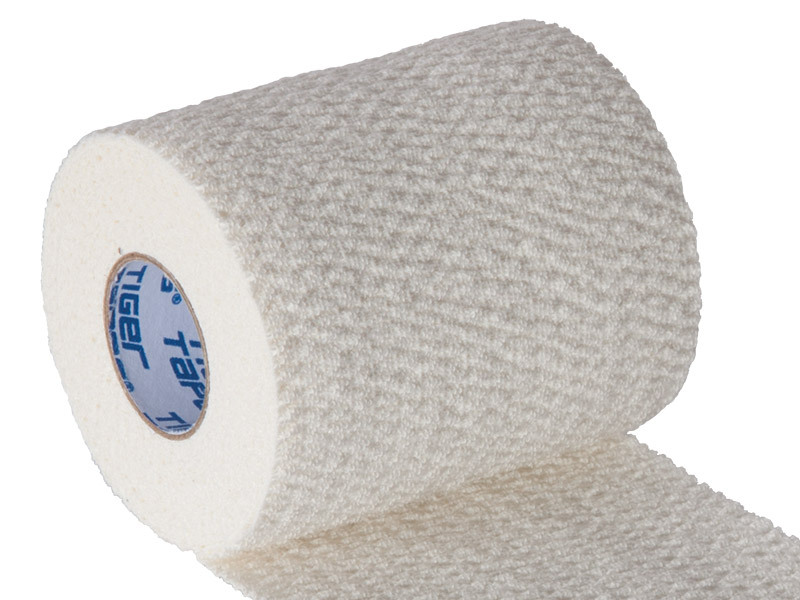 Plus, it's easy-tear design makes it the ideal tape for a pitch-side compression wrap or for securing dressings or ice packs. Lightweight EAB with an excellent, strong adhesion that's easy unwind. Textured fabric with a “Crinkle skin feel” provides a great line out strapping. 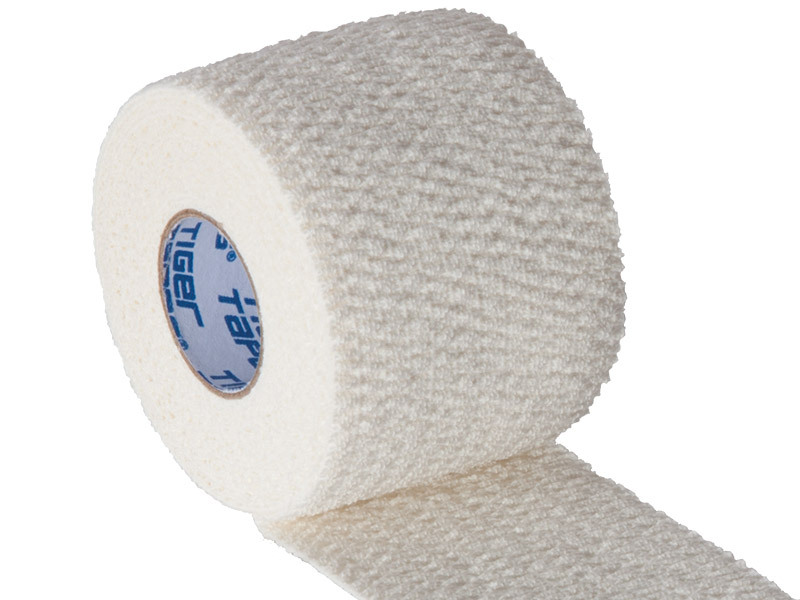 6.9m rolls, which is perfect for securing two ankles, makes this our best-selling tape.